Miguel is an experienced choral director and leader of singing sessions. His enthusiasm for promoting community singing has brought many people together to share and learn new musical insights, and to record albums together. A friend recently prompted me to write this article by bringing two pieces of information to my attention. I reckon the more important of these was the very existence of JAM, but the second was that many of you may be unaware that my compilation album The People Have Songs has a website! Well... now those two are taken care of I figure I should add some more information to beef up this article, yeh? I'm happy to report then that there is a sequel to The People Have Songs. 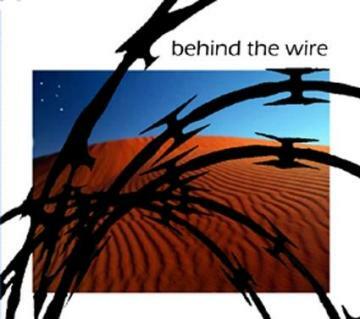 Due for release in September, Behind The Wire is a collection of songs from the Australian folk community which condemn the Howard government's inhumane and insulting treatment of asylum seekers. This album represents a tangible means of helping the victims of mandatory detention since every cent you spend buying it goes directly to the community organisations that work so tirelessly on their behalf. Most of the 15 tracks on Behind The Wire were previously recorded by other artists and, except for two or three songs, my input was merely to ask my peers for permission to use their recordings. These included Alistair Hulett, Pat Drummond, Jane Thompson, Bernard Carney, Phyl Lobl, Fay White, Peter Hicks and Geoff Francis. I sing lead vocals on a track written by my mate Bill Bostle, and direct the Solidarity Choir in another. There is another important difference between the two albums that makes me particularly happy. Because Behind The Wire will be distributed gratis to community organisations to sell as fundraisers, there will never be boxes and boxes of them under my bed tediously waiting to break even! So to conclude, please visit The People Have Songs website and do keep you eyes open at support events for refugees in your locality for a copy of Behind The Wire.